Donald Trump will announce his decision on Tuesday about the waiver of sweeping US sanctions, a key part of the July 2015 nuclear deal between Iran and the 5+1 Powers (US, UK, Germany, France, China, and Russia). The waiver of Congressional restrictions — far wider than the American sanctions which have been maintained on Iran for decades — has been a key part of the agreement, in which Iran has given up its stock of 20% enriched uranium, halted production and limited research of new nuclear centrifuges, and agreed to extensive international inspections of its nuclear facilities. Under the Congressional legislation, Trump has to authorize the waivers every few months. Despite proclaiming the “worst deal in US history”, he has done so since January 2017. However, Trump has indicated that he is unlikely to renew the waiver by a May 12 deadline. In recent weeks, French President Emmanuel Macron, German Chancellor Angela Merkel, and UK Foreign Secretary Boris Johnson — currently in Washington — have travelled to the White House to try and pull Trump back from an effective withdrawal from the agreement. The European Union and the three European signatories have proposed revision of the deal’s terms, including extension of time limits, and negotiations for a separate agreement on Iran’s ballistic missile program. 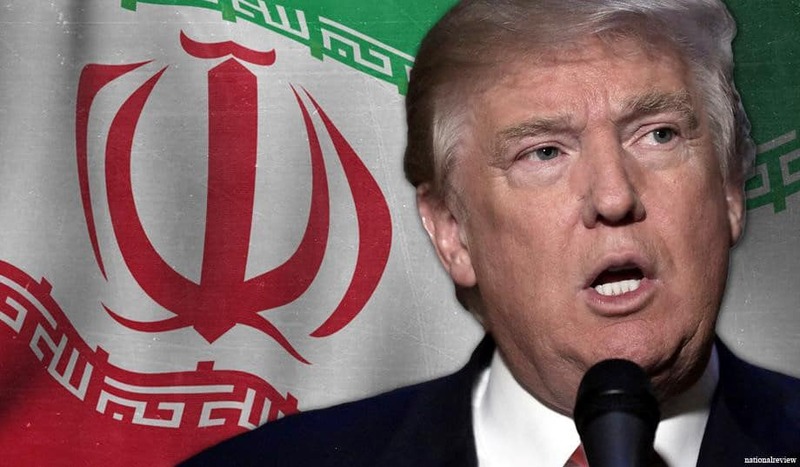 But Trump has shown no indication of accepting the alternative, and Tehran has said that it will not renegotiate the Joint Comprehensive Plan of Action or open new talks on missiles. 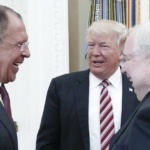 It’s pretty obvious to me that unless something changes in the next few days, I believe the President will not waive the sanctions. And that will have various consequences that I think we have yet to fully to understand and spell out. Iranian officials have promised a firm response if the Congressional sanctions are imposed, pointing to a quick resumption of enrichment of 20% uranium — which potentially could be enriched to 95% military-grade fuel — and development of centrifuges. If our goals in the JCPOA can be achieved without the United States, that’s better. Otherwise, we will make our decision…. Today we are telling the world that if you are worried about Iran’s access to nuclear bomb, we have completely allayed this concern in the JCPOA, and the deal ensures that Iran does not seek nuclear weapons. Tehran is hoping to persuade European companies to defy the US sanctions and renew trade and investment links with the Islamic Republic. But the European firms have been loathe to do so, even under the current American restrictions, because of the fear of punishment by US authorities if they confirm ties with Iran. If they want to make sure that we are not after a nuclear bomb, we have said repeatedly that we are not and we will not be…but if they want to weaken Iran and limit its influence whether in the region or globally, Iran will fiercely resist. Quitting the JCPOA will definitely lead to the isolation of the Americans in the international arena. So the Americans will not benefit from such a decision. NextTrumpWatch, Day 473: Where Did Trump Get His Cash for Property Buying Binge? contracts for activities eligible for authorization under the JCPOA SLP. vi. Sanctions on Iran’s energy sector.